If you live in a smaller home or apartment, you may have noticed that the amount of additional space you have for storing your things is minimal, or non-existent. 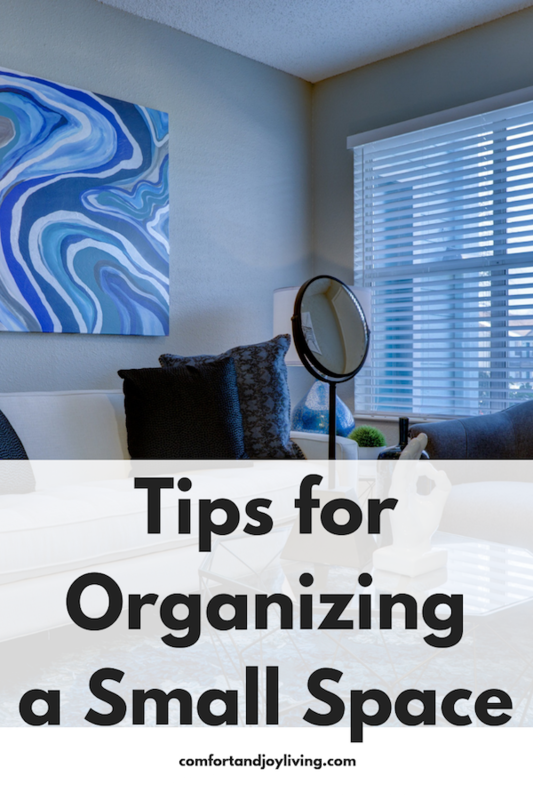 Based on this, you may be wondering how to organize a small home or apartment with limited storage space while still keeping everything easily accessible. Yes, it can be a challenge, but here are some ideas that you can easily implement on a budget. When you live in a small space, you should try to purchase items like furniture, that should do 2 or more things. For your living room, if you purchase a coffee table or ottoman, purchase one with storage for blankets, magazines and more. You can also purchase a wall mounted table that can fold and be stored away when not in use. It features a lot of storage boxes so it can function as a work station, storage unit and bookshelf. You can easily install it in your living room, bedroom or home office and use it as a computer desk or side table. Many of us keep organizational items on the floor. Purchase shelving units that are vertical rather than horizontal. You have plenty of wall space on the upper part of your wall that is often unused. Having shelving that goes to your ceiling or thereabout is great to store books, knick knacks and more. They have different sized storage containers and bags that work great for this space. You can store seasonal clothing, your child’s toys, gift wrap supplies, and more. Or, if you’re in the market for a new bed, purchase one that has drawers underneath the bed. One way to save space is by placing furniture up against the wall, like a bed or couch. I placed some of my furniture in a slant in corners of a room, leaving space behind it to store small storage containers that are out of sight, but still in reach. Hallway or entry way closets are under-utilized in small apartments. You can maximize space by figuring out what you want to store in them and then making room to store the items you need. If there’s any unused vertical space in your hallway closet, install shelving to store items. For example, if you keep your vacuum in the hallway closet, install shelving above the vacuum to utilize that extra space. Hooks can save a lot of space. In the bedroom, place them on your closet door for purses, scarves and hats. In the bathroom, use them to hold toothbrushes, toothpaste, razors, hair ties, and more. This is a great design trick that creates an illusion of having a larger space. I have found that white works well for making a space look much larger. You can also try moving your furniture to the center of the room, allowing space on the walls for bookshelves or an armoire for extra storage space. Take time on a regular basis to go through your stuff to see what you don’t need anymore or haven’t used in a while. Use the 12 month rule: if you haven’t used it in over 12 months, it may be time to throw it away, sell it or donate it. What tips do you have to organize a small space?